On Sunday, Ryan Murphy treated fans to their first peek yet at American Horror Story: Apocalypse! The showrunner posted a photo from the set of the show featuring a certain returning music legend that’s sure to have fans buzzing. In the image, the entire gang from season 3 (aka American Horror Story: Coven) gathered together in front of a stairwell. Included in the photo is Sarah Paulson, Lily Rabe, Emma Roberts, Frances Conroy, Gabourney Sidibe, Taissa Farmiga and none other than Stevie Nicks. 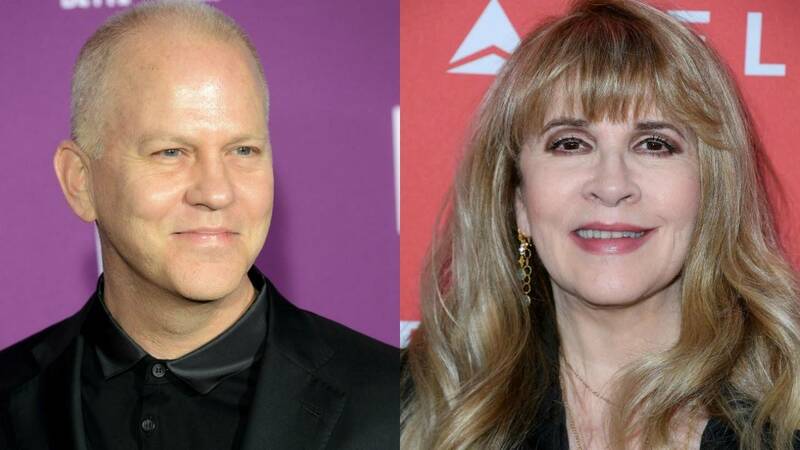 “What a thrilling night with the legend Stevie Nicks on the set of AHS," Murphy wrote alongside the image. The upcoming season will be combining the storylines of season one (American Horror Story: Murder House) and season 3, and will be featuring several more returning actors and Murphy favorites not featuring in photo including Kathy Bates, Jessica Lange, Evan Peters, Cheyenne Jackson, Billy Eichner, Leslie Grossman and Billie Lourd. Although the promos for AHS seasons can be fairly misleading, this time around the imagery offered up thus far has been suitably apocalyptic, oftentimes teasing at the Anti-Christ scenario presented at the end of season one. American Horror Story: Apocalypse premieres on Sept. 12 on FX. 'American Horror Story: Apocalypse' Releases Bizarre and Disturbing First Teaser -- Watch!